As we greet the New Year, we look back at 2018 with gratitude. It has been a year of profound transformation and record impact. The 13th Earth Overshoot Day, on August 1st, received 3 billion media impressions in more than 100 countries. The most significant breakthrough occurred in our own backyard, the United States, thanks to our amazing local partners. 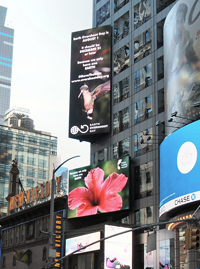 For the first time ever, we ran an ad in iconic Times Square, New York, for two weeks leading up to Earth Overshoot Day. This was made possible by filmmaker Louie Schwartzberg who graciously provided imagery. On Earth Overshoot Day, our two live stream programs took viewers to meet more than 20 sustainability leaders and hear about their initiatives around the world to #MoveTheDate. Watch all the interviews here. Portugal brought Footprinting to a new level in 2018, thanks to the City Footprint Project led by our partner ZERO. Global Footprint Network Mediterranean Director Alessandro Galli and I (Mathis) joined the road tour in October as the six cities participating in this three-year initiative unveiled their data at public events. The next step is developing the Footprint Calculator for each city this year. The intention is to impact national policies with a view to rewarding those municipalities that strive to transform their economy by using the one-planet prosperity framework to guide their efforts. Read more about the ambition driving this initiative. Businesses also are embracing the one-planet prosperity framework. The most visionary companies understand that their long-term success depends on their business model being aligned with the necessary goal of living well within the means of our one planet. We have refined this business rational together with Schneider Electric, one of the world’s leading energy efficiency companies that is driving decarbonization. We estimated that if their kind of technology was applied consistently around the world, Earth Overshoot Day would move back 21 days, without any loss of comfort. 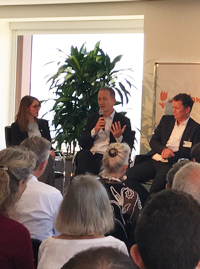 In partnership with the Dutch Consulate, we gathered business leaders for a conversation about driving success in a one-planet context during the Global Climate Action Summit in San Francisco last September. Opened by the first woman president of Ecuador, Rosalia Arteaga, it featured giants like Schneider Electric and Philips, as well as newcomers like Lightyear. Here’s the summary of the one-planet event. 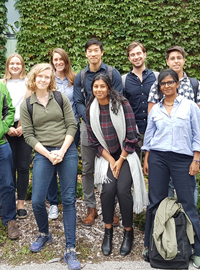 Last but not least, 2018 is the year Global Footprint Network launched a collaboration with York University, Toronto, to build an independent organization for the National Footprint and Biocapacity Accounts. 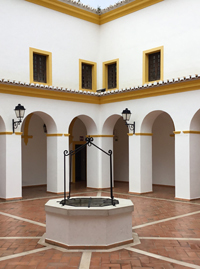 The Initiative guarantees the Footprint Accounts’ independence, transparency, and robustness thanks to a global academic network and a scientific advisory committee. This will be a major focus of our work over the upcoming year, while we also advance our fearless and productive engagement around the world. We are excited about the new possibilities before us and we look forward to keeping you updated on our work throughout 2019 as we keep pushing to #MoveTheDate.